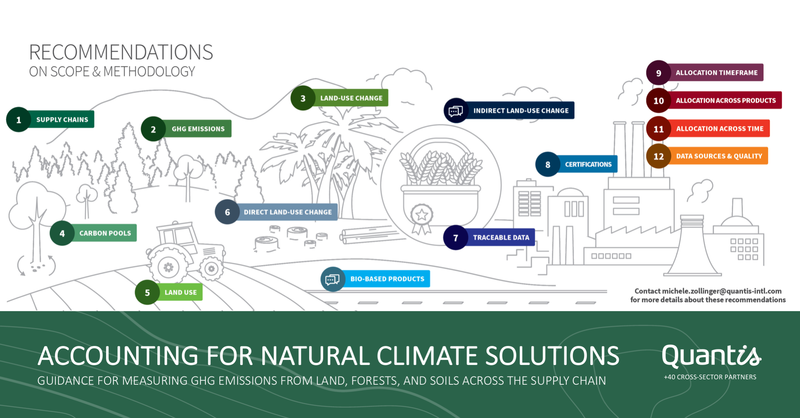 The Accounting for Natural Climate Solutions Guidance provides a robust methodology to effectively measure GHG emissions from land, forests, and soils across the supply chain to be embedded in corporate and product footprints, which can be used for science-based climate target setting efforts. This groundbreaking guidance is expected to transform sustainable management of forestry and agriculture in corporate supply chains. 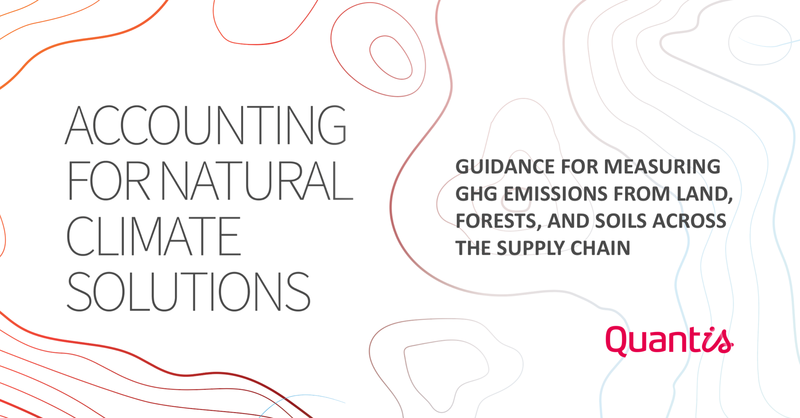 After a rigorous pilot process in 2018, “Accounting for Natural Climate Solutions: Guidance for Measuring GHG Emissions from Land, Forests, and Soils across the Supply Chain” and its accompanying Annex are released and publicly available today. Working with nature can provide effective solutions to urgently address climate change. The world is starting to heed the call for the critical need to rapidly reduce greenhouse gas (GHG) emissions. Natural climate solutions – from forests, agriculture, soil and land – have been recognized as key levers in mitigating the negative impacts of climate change. The Accounting for Natural Climate Solutions Guidance brought together more than 40 private companies, NGOs, governments, and scientific institutions in an unprecedented, collaborative multi-stakeholder initiative led by Quantis. Industrial partners include, among others, Atvos, Barry Callebaut, Braskem, General Mills, IKEA, L’Oréal, LVMH, Mars, Mondelēz International, PepsiCo, Philip Morris International, and Pirelli. Non-profits, consultancies, investment firms, governmental bodies and research institutes such as ADEME, Ceres, CDP, Climate-KIC, Continuum Textiles, EcoAct, Navigant, Embrapa, Global Canopy, Gold Standard, IINAS, Mercer Environment Associates, moja global, Permian Global, Rainforest Alliance, South Pole Group, Supply Change, Textile Exchange and WWF also contributed to this important work. "Mars is excited to be part of this initiative - we believe better and more consistent quantification of GHG emissions from deforestation will help accelerate global efforts to reduce both deforestation and GHG emissions." "We made an ambitious commitment to reduce our greenhouse gas emissions across our value chain by 28 percent by 2025. Having consistent measurement and guidance on this critical area will allow us to better track progress towards our goals." "This guidance is extremely relevant for Brazil which is uniquely positioned [to be] a key player in the future bio-economy [...]. 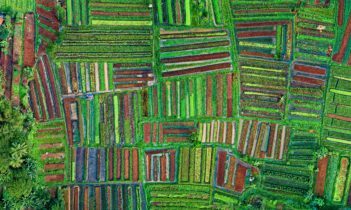 This guidance enabled us to get in-depth insights on theoretical concepts; decrease our LCA uncertainty levels; strengthen the relationship with our suppliers and ultimately corroborate with satellite imagery the results of our supply management system." 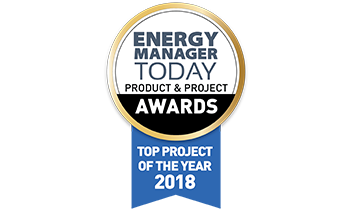 "At PMI, we’re focused on delivering GHG emissions reduction through targets based directly on climate science to limit global warming and the impact of climate change. We’re pleased to participate in this initiative to contribute to the Guidance, and its practical application in the future." "We've seen how the topic of forests is becoming a major focus areas for investors. This report fills an important need to support companies in quantifying their impacts from forests along their value chain. We look forward to building on the insights we gained through our participation in this work and the feedback from companies and investors on reporting land use change emissions in a standardized way - this will influence the future development of CDP's disclosure framework." The Accounting for Natural Climate Solutions Guidance delivers 12 recommendations to ensure greater consistency in calculating and accounting for land use and land use change-generated GHG emissions, both in relation to products (e.g., product carbon footprint) and organizations (e.g., corporate carbon footprint). Join Quantis + partners on April 24 as we dig into this new methodology presenting 12 recommendations expected to transform sustainable management of forestry and agriculture in corporate supply chains. Panelists will share insights gained through pilot projects and the business value of applying this new standardized approach to GHG accounting on land-related activities. 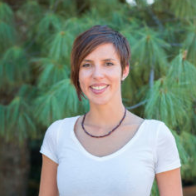 For additional questions on the NCS Guidance, contact Sustainability Consultant and NCS Project Coordinator Michele Zollinger. 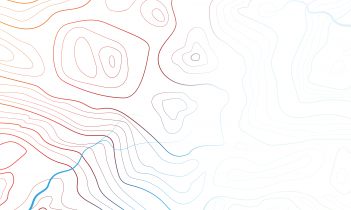 This month Quantis released the ground-breaking Accounting for NCS: Guidance for Measuring GHG Emissions from Land, Forests, and Soils Across the Supply Chain.